Vivek Kaul's Inner Circle is a premium weekly newsletter offering global insights on what's happening in the world of money by an independent network of analysts, economists and investment experts from around the world. Why should I sign up for Vivek Kaul's Inner Circle? We are living in an extraordinary age. Never before in the history of mankind has the world economy been so intricately interlinked. The global economy is one big, complex, interconnected system...and whether we like it or not, we are part of it. And everything that transpires within it, affects us in some way or the other...in big ways or small. As you know, we're living through an unusual and uncertain period of economic history. Vivek Kaul and his global network of like-minded thinkers strongly believe that the current global economic system that has been built on excessive debt, reckless money printing, and government manipulation...is simply unsustainable. And the people running the show - politicians, central bankers and government economists - have no clue what will happen next. In fact, over the next several years, we'll likely see financial busts, financial booms, deflation, inflation... even widespread social unrest. In short, the global economic system is, up for big changes... radical shifts...and large-scale self-correcting adjustments. And this may impact our jobs...our businesses...our savings and investments...our entire lives and future generations. The truth is, for most folks, it's virtually impossible to get a clear understanding of what's really going on... how to protect yourself and your family... and how to grow your wealth. So it doesn't really matter who you are. Whether you are an investor, a professional, a businessman, a student of finance and economics, or just an ordinary truth-seeker with the will and vision to safeguard your wealth, lifestyle, and legacy, Vivek Kaul's Inner Circle is a means for you to get access to our top level of research and strategic intelligence from our global think-tank. It will not only help you "crisis-proof" your financial life... it will also help you prosper while the rest of the world worries and sits on the sidelines. Vivek Kaul's elite global think-tank comprises a remarkable group of the best and brightest independent financial thinkers and economists. Our global network of experts is based in the U.S, London, Paris, Bonn, Madrid, Beijing, Sao Paolo, Buenos Aires, Johannesburg, and Melbourne. We have billionaire Bill Bonner from USA. He founded Agora Inc. in 1978. Since then, it has grown into one of the largest independent newsletter publishing companies in the world. He and his team have exposed and predicted the world's most disruptive events. Bill also co-wrote two New York Times bestselling books, Financial Reckoning Day and Empire of Debt. In his latest book, Hormegeddon, Bill describes what happens when you get too much of a good thing in the sphere of public policy, economics and business. We have Dan Denning who is an influential global market analyst. He has worked alongside Bill Bonner and Addison Wiggin in Baltimore, US. He then moved via Paris and London to Australia, publishing a book - The Bull Hunter - along the way. He returned to London in 2015 and became the publisher of Fleet Street Publications' financial newsletters. We have Tim Price from London, a graduate of Oxford University with 25 years of investment experience across both institutional and private client investment management. He is Director of Investment at PFP Wealth Management in London, a UK-based investment and financial advisory practice which advises on and manages £1.5 billion in client asset. We have Merryn Somerset Webb from London, who is the editor-in-chief of Moneyweek, the best-selling financial magazine in the UK, and is a director of two investment trusts. Merryn has a weekly column in the FT and a monthly column in Saga. She is a regular TV/radio commentator and speaker on financial matters. We have Charlie Morris from London. Charlie is a former fund manager, having spent 17 years at HSBC Global Asset Management as the Head of Absolute Return managing a multi-asset fund range overseeing US$ 3bn. He is now the editor of Fleet Street Letter, one of Britain's oldest and highly venerated financial publications. We have Vern Gowdie from Melbourne, who has the reputation of being one of the best financial planners in Australia. Not to mention that his contrarian views often place him at odds with the financial planning profession. We have Chris Mayer from Baltimore, USA. A keen student of financial history, Chris is the editor of investment advisories Capital & Crisis and Mayer's Special Situations. He is the author of Invest Like a Dealmaker: Secrets From a Former Banking Insider and World Right Side Up: Investing Across Six Continents. That's not all...We also have Fred Hsu from China, Ivan Carrino from Argentina, Felipe Miranda from Brazil, and Simone Wapler from France. So, when we want boots on the ground intelligence on any aspect of the global economy...world financial markets, commodities, emerging markets, growth and demographics, central banks and monetary policy, currencies, geopolitics...we reach out to our many local analysts in these countries for their views and insights. What can I expect from each issue of Vivek Kaul's Inner Circle? Every week, we go through each report and research note produced by our worldwide think-tank. We're talking about scores of documents on the global economy, stock markets, bonds, currencies, precious metals, and commodities. Then we compile the best of them in an easy-to-read briefing so that you'll have only the top "curated" ideas sent direct to your inbox. Through our weekly briefings, you will have access to a constant source of new global ideas and insights that few investors in the world possess. Keep in mind: This isn't a stock recommendation service. This is an unrivaled global intelligence network...each of them handpicked by us because they have a real insight into the how to navigate today's markets... and build lasting wealth. Apart from Vivek Kaul and his global network, you will also have access to insights from Equitymaster's research team in Mumbai. Our local research desk will present you an 'Indian angle' to what's going on in the global economy. So, that's going to be another unique aspect of the Inner Circle. You will have insights not only from our global network, but also from our local research analysts. Who is the Editor of Vivek Kaul's Inner Circle? The Editor of Vivek Kaul's Inner Circle is Ankit Shah, who has been a research analyst at Equitymaster for more than 5 years. In the past, Ankit has been the driving force behind our learning initiative Equitymaster's Secrets. He has also travelled extensively across India with Richa and the Hidden Treasure team to identify winning small cap stocks. Besides being an ardent follower of the Buffett and Peter Lynch style of investing, he is a keen student of the Austrian school of economics. He is deeply fascinated and inquisitive about the workings of the human mind...and all the bizarre things that conspire when it comes in contact with money and power. He follows the multidisciplinarian approach to thinking and learning, drawing ideas and insights from fields as diverse as quantum physics, evolutionary biology, history, neuroscience, behavioral economics, and psychology, to the ancient arts and sciences of India and the rest of the world. 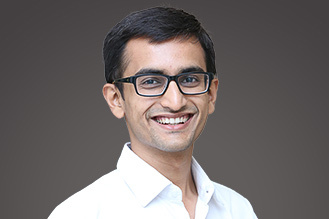 As the Editor of our first global newsletter Vivek Kaul's Inner Circle, Ankit will work closely with Vivek and his global network to dive through scores of documents on the global economy, stock markets, bonds, currencies, precious metals, and commodities. He will then compile the best of them in an easy-to-read briefing so that you'll have only the top "curated" ideas sent direct to your inbox. How frequently will I receive Vivek Kaul's Inner Circle? Vivek Kaul's Inner Circle is a weekly newsletter. You will receive a PDF document in your inbox every Monday. Will there be stock-specific recommendations? Vivek Kaul's Inner Circle is not a stock recommendation service. The aim of the service is to provide you global insights and strategic intelligence that will put you ahead of the curve in building and safeguarding your wealth, lifestyle, and legacy. How should one contact in case one has query?